With AC Milan and Manchester United clashing at the San Siro in less than 24 hours, lets begin with a reminder – United have have never beaten the Rossoneri on Italian soil, with their last meeting taking place on May 2, 2007, in the Champions League Semi Final. This was probably Ancelotti’s Milan finest display, crushing Ferguson and his red devils 3-0, en route to a seventh champions cup. Out of Kaka, Seedorf and Gilardino, only the aging Dutchman still plays for Milan, although odds are he won’t be starting tomorrow. Milan are not the continental Mega-Power they were just a few years ago but have certainly been looking much better as the 2009-2010 season progresses. Now, taking both legs into consideration, United certainly are the favorites, regardless of history and past results. They have the stronger squad (on paper), and they have Wayne Rooney. 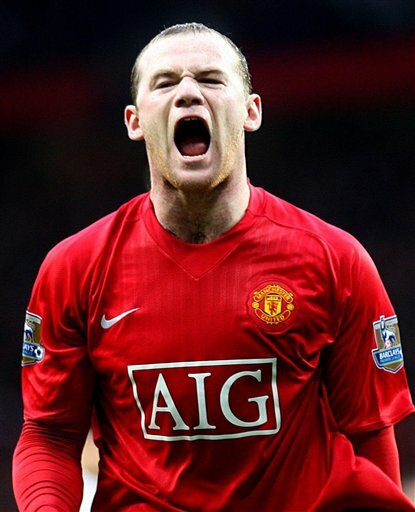 I don’t know if I’ll be writing the same words after the World Cup, but up to this point Rooney has been playing like the best footballer in the world this season. For some reason, I have a feeling, that at least tomorrow night, Berlusconi will be smiling when the 90 minutes are over. In two weeks? I’m not so sure. Oh, and how can we finish without a word or two about David Beckham, who’ll be facing his old club for the first time since leaving in 2003? Well, we can, but we won’t. Beckham is far from his status as one of the best midfielders in the world like many years ago but he seems to fit in well with Milan’s improving team, with his set pieces ability still world class. Not an X-factor, because he’s pretty much solid every time he’s out there. Still, Beckham scoring for Milan tomorrow would be the greatest moment this match can provide us, at least from a romantic-football kind of outlook.